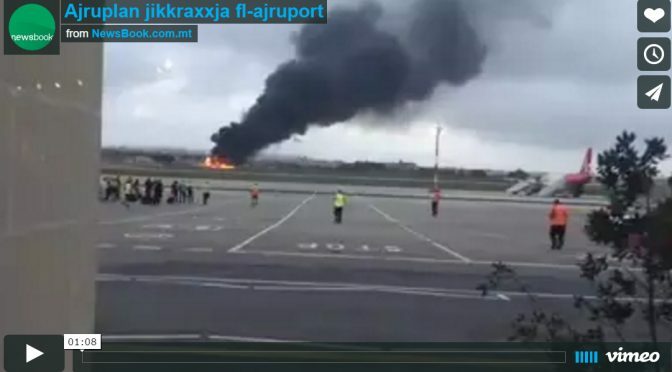 Everyone this morning in Malta was shocked by the news of a Military Plane Crash. A aeroplane by the Luxembourg military allegedly was taking off to go on a military mission in Misrata in Libya, at 7.15am today. News in Malta claimed that the plane was leased to Frontex, however on Twitter Frontex wrote that it “was not deployed by Frontex”. The plane was of the twin-prop Metroliner type. The plane crashed near the road and the old Ħal Safi barracks. So far it appears 5 persons are dead. It is not known whether other people are dead besides those in the plane. RTK radio warned people not to go Ħal Luqa. Ambulances and fire engines went on the spot. 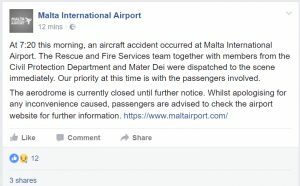 Malta International Airport has been reopened with some delays in flights. The BBC reported that Maltese authorities said that the flight had been part of a French customs operation to track illicit trafficking of drugs and people. The BBC wrote that an investigation into the causes of the crash is to be conducted by the French defence ministry, and French Defence Minister Jean-Yves Le Drian confirmed that three of the victims were ministry staff while the other two were contractors. French media is saying that the victims were DGSE members ie spies. DGSE is France’s external intelligence agency. I’m following the news of a small @Frontex aircraft crash next to #Malta Airport. Very saddened to hear of casualties. 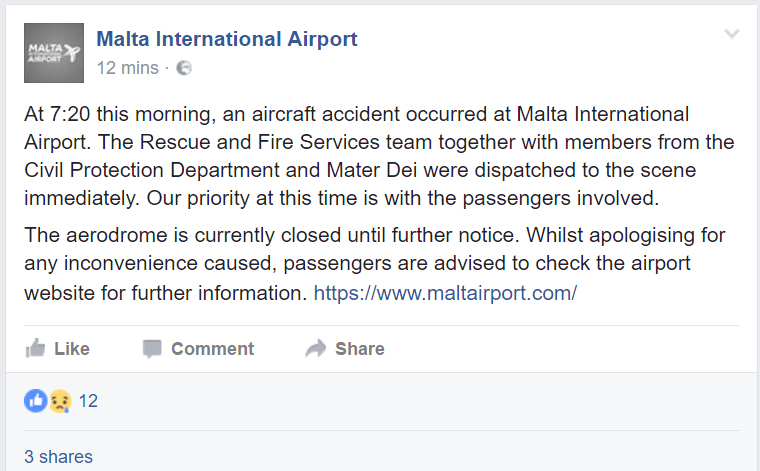 BREAKING: Maltese gov’t says 5 killed in plane crash were French officials tracing Mediterranean trafficking routes from Libya.